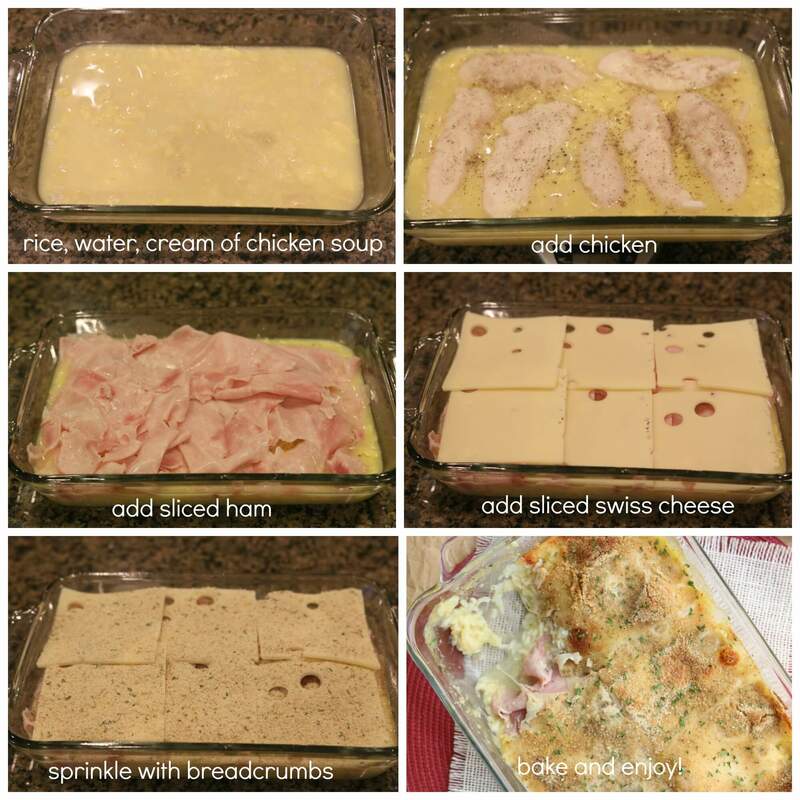 My favorite dish these days is Chicken Cordon Bleu Casserole. Instead of having to prep and cook ingredients before you put them in a dish (like my mom used to do), you use uncooked rice and uncooked chicken tenders. 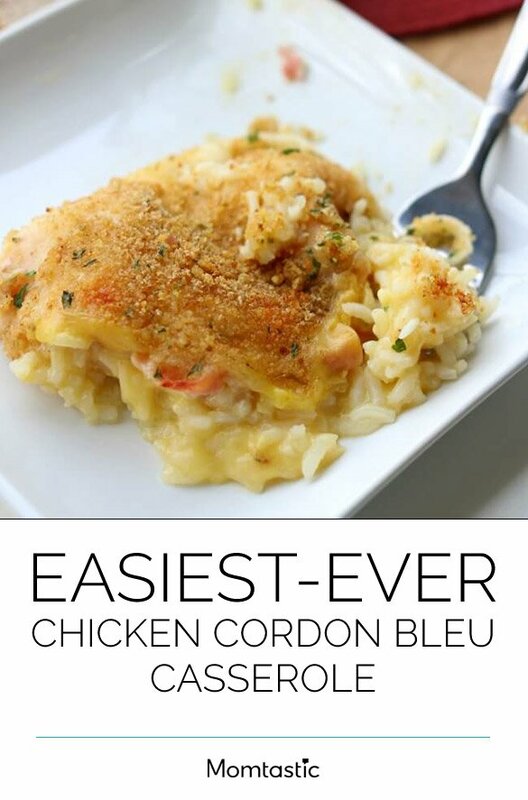 You pile all the ingredients into a casserole dish and bake for 45 minutes and it’s done. 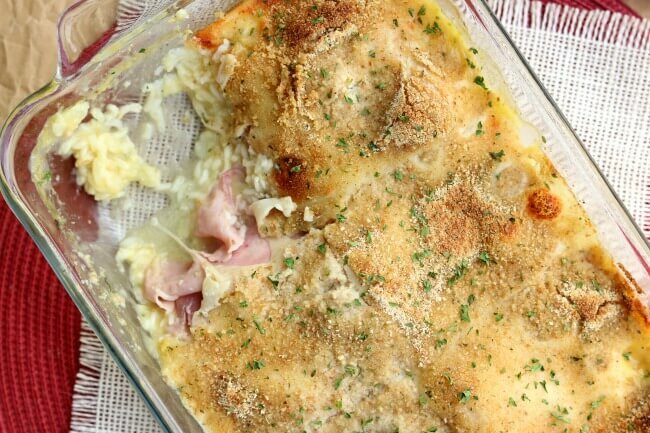 You can easily make and bake this casserole in less than an hour. And guess what? It tastes amazing. 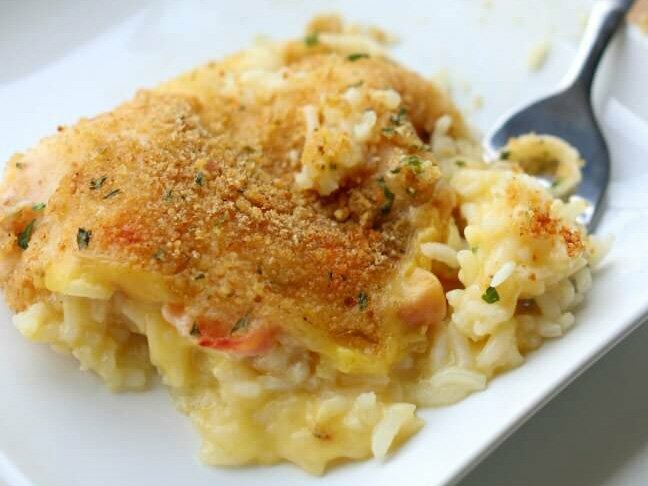 You can easily make and bake this casserole in less than an hour. And guess what? It tastes amazing. Step 1: Preheat oven to 375° F.
Step 2: In a 9x13 inch dish (or slightly smaller) add the rice, water, cream of chicken soup, and dijon mustard. Stir together. 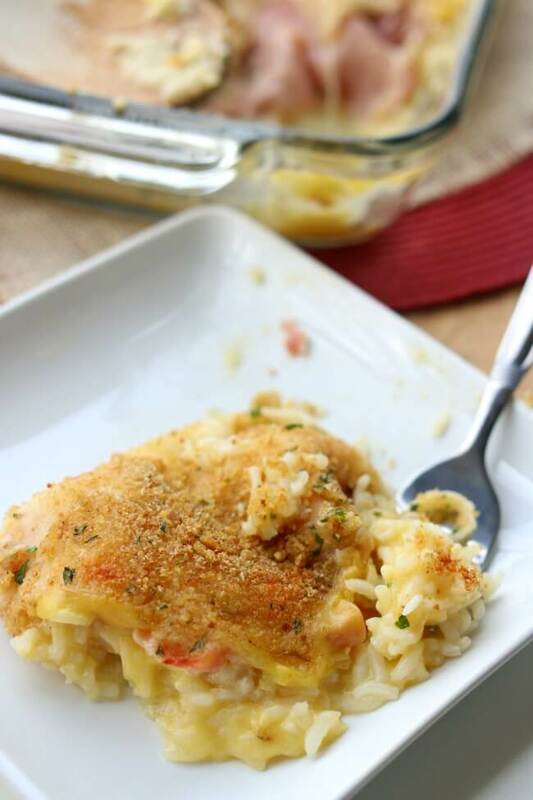 Place chicken tenders on top. Lightly sprinkle the chicken with salt and pepper. Step 3: Place the sliced ham evenly over the top of the chicken. Step 4: Layer the cheese on top of the ham. Step 5: Sprinkle the bread crumbs evenly over the top. Step 6: Cover with foil and bake for 40 minutes. Remove the foil and bake for another 5 minutes to brown the top of the casserole. Serve and enjoy! I like to serve this dish with steamed broccoli or a tossed salad.